These words were spoken by Mayor Charles Hustinx when in March of 1947 a delegation visited from Albany NY, with the good news that a major relief effort was being readied on the other side of the ocean. It was meant to provide Nijmegen with goods and equipment to rebuild the city and the lives of the residents. In early July 1947 the SS Westerdam departed from the Port of Albany, via New York to Nijmegen. The Westerdam had an estimated 300 tons of relief goods on board, mostly collected by the citizens of Albany, as support for the hard-hit city of Nijmegen. 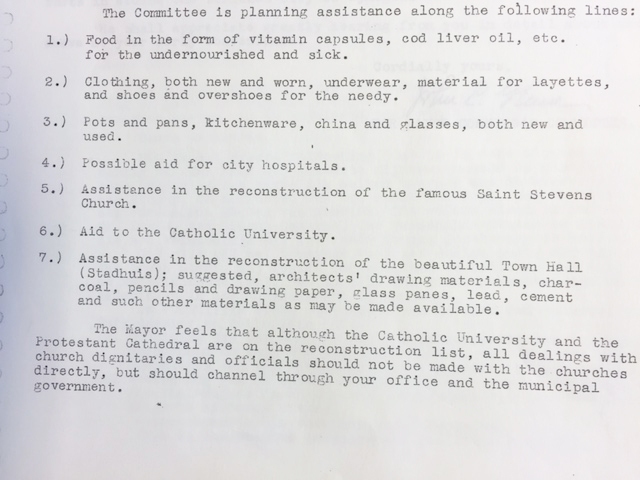 The Albany Aid Campaign for Nijmegen in 1947 appears to be a more or less spontaneous relief action. 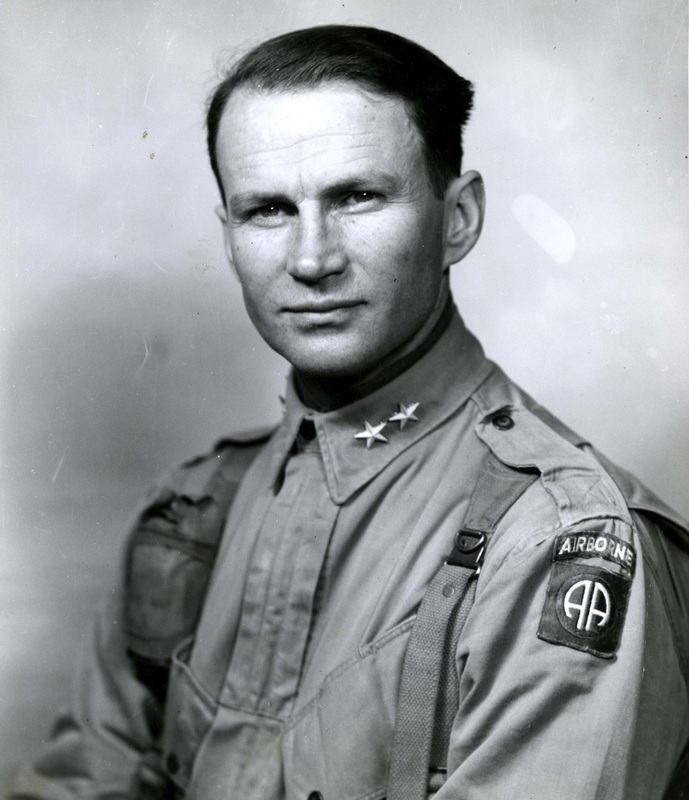 This came about partially because of the Dutch roots in the region, but mainly thanks to the personal commitment and mediation by an American WWII commander: General James M. Gavin. His 82nd Airborne Division took part in Operation Market Garden and the infamous crossing of the Waal river at Nijmegen on September, 20, 1944. Gavin saw firsthand how the city of Nijmegen suffered during WWII. The US bombing of February 22, 1944 and the fighting that continued after the liberation wore the city and its population down to the bone. But he also saw how helpful the Nijmegen people were during the Liberation. Almost 800 US soldiers were buried at the temporary Military Cemetery at Molenhoek. The relief operation in 1947 led to a keen interest and contact between the two cities, including exchanges of letters among citizens. The Albany Aid Campaign is probably also a prelude to the Marshall Plan, with large-scale economic aid to Western Europe from 1948-1952. Over the decades the contacts between Nijmegen and Albany NY slowly dissipated. The partnership did not grow into “modern” sister cities and the relief effort faded into the shadows of history. In 2017 it will be 70 years since Albany provided the relief effort. This is an excellent time to commemorate this event in both cities. Document: © Regionaal Archief Nijmegen. 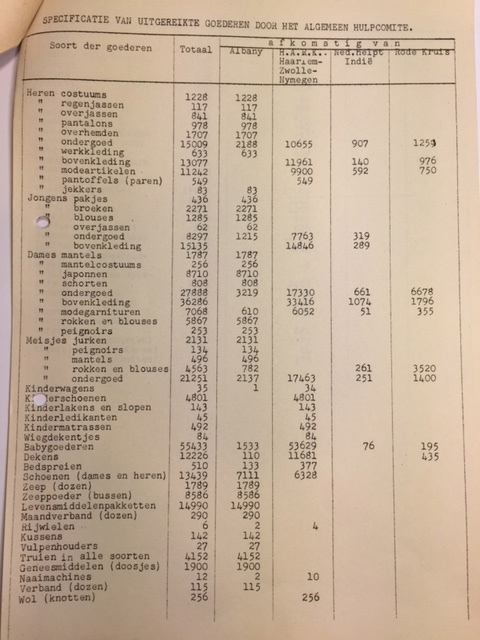 Document: © Regionaal Archief Nijmegen. Overview in General Aid Red Cross archive: relief goods for NIjmegen. October 1944-November 1948.